Something extraordinary happened in the world of New Zealand HR this week you need to know about if you don’t already. Fellow blogger and all round HR thought leader, Angela Atkins, opened the HR Game Changer Conference she devised and staged by saying it felt less like a conference and more like the start of a movement. She wasn’t wrong. It was time to discuss if and how we can truly transform HR to have a brighter future. With some sounding the death knell for HR and constant debate about whether HR can step up, Angela memorably reminded everyone, it’s “business time” for HR. Similarly inspired by the HR game changing concept, a Game Changer event was set up and staged in London to coincide with the New Zealand event. So while we were sleeping between days 1 and 2, they were debating the same issues. A wonderful pictorial version of the UK conference can be found here drawn by Simon Heath. And an excellent summary by Perry Timms is here. If you ever needed evidence that we now operate in a truly global workplace, this was it. That a group of experienced HR professionals on the other side of the world were inspired by something we were doing in NZ to take part and support the initiative would have been unimaginable even three years ago. Similarly, day 2 of the conference started with live links to David D’Souza in the UK and Christopher Demers in the US, two experienced HR leaders and prolific bloggers who have close links to the NZ HR community. I’m not going to cover here my personal conference highlights other than to say it’s been a few years since I can remember enjoying so much or being as fully engaged in a conference as I was in this one. 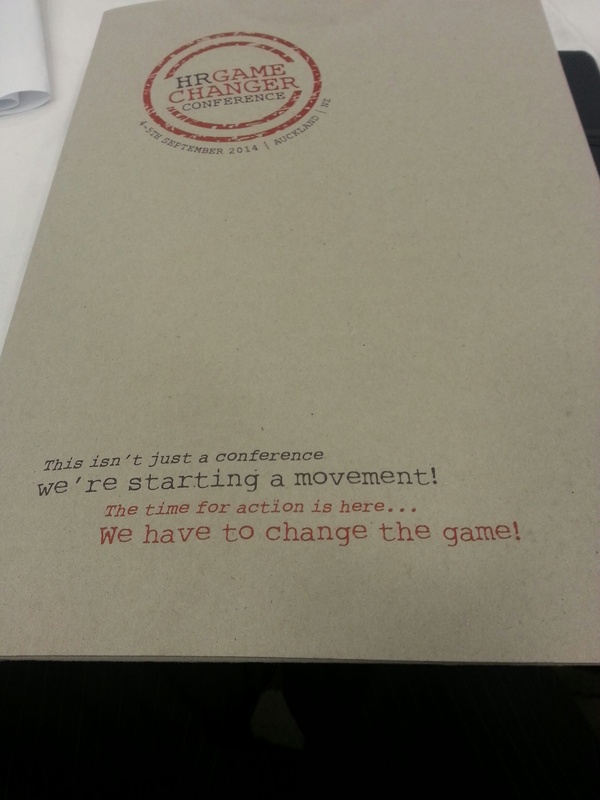 All the speakers and presenters were bang on the money, forward focused and inspiring. It was a very thought provoking and challenging two days. Amanda Sterling has written her own account of being there which is well worth a read. I am sure other attendees will share their thoughts online. 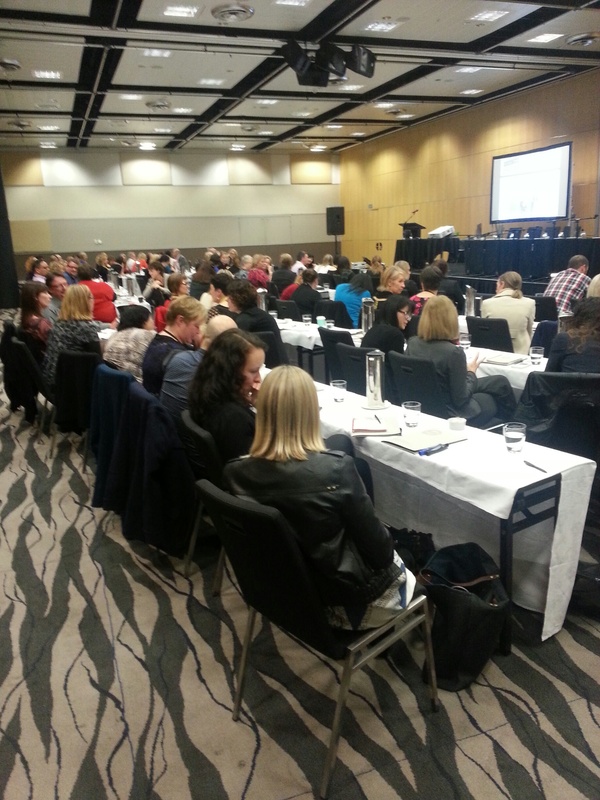 Another first (for a New Zealand HR event) was the social media element. The Twitter stream in particular was on fire, the #hrgcnz hashtag trending very highly on both days. If you want to see all the sound bites, discussion and presenter highlights check that out. And if you don’t know how, it’s really time you found out don’t you think? There are no excuses if you work in HR. But wait, there is more. 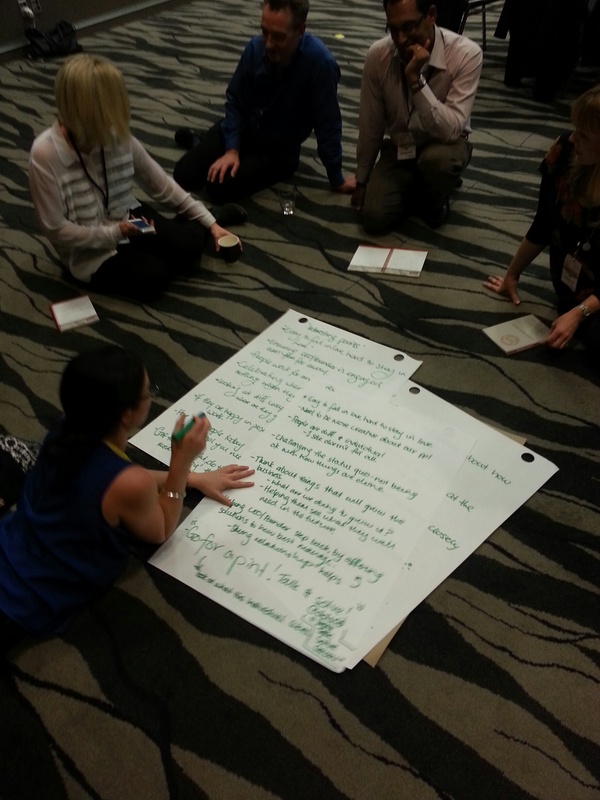 At the end of the conference as we all considered how we can take this momentum forward, the formation of a potential new institute was announced that will provide a route to chartered status for New Zealand HR professionals. Why should we not have the same professional standards and status as lawyers and accountants and our counterparts in other countries? If we are serious about changing the game in NZ this has massive implications for all of us. I have been asked to be involved as a trustee as I’m keen to see how this plays out. As an advocate for change in the profession, feel I need to be involved in this and see where it takes us. If you are interested in learning more, you can email info@chri.org.nz. Congratulations and massive thanks to Angela and her Elephant HR team for pulling off something extraordinary and being the change they want to see. Wow – really pleased you found it so engaging – the feedback has been tremendous, and I think we achieved both giving people ideas to transform but also working on what we want HR to be. Now we just have to go out there and put it into action. 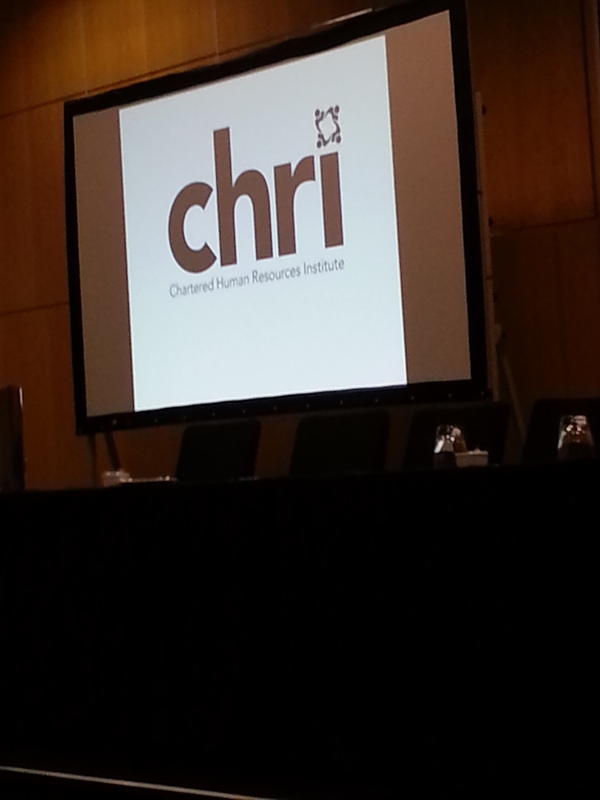 I truly believe that CHRI is the way to go and really excited to be part of the HR community to build it! Can’t wait to be part of the future of HR with you! Wasn’t sure if I should post this here as well as on the LinkedIn discussion… so to be sure, I have! We have a new Exec Director in Chris Till and I think people should wait and see what that new combination of Board/Chris will do. I’m concerned that the formation of a new body will simply cannibalise the existing one and create 2 weaker bodies from the existing strong one. I’ve been a member since the days when it was IPM and served on Branch Committees and National Council (now called the Board) for the maximum allowable terms too. Professional membership was created during that time and IMHO has done a good job. My suggestion is that instead of competing for the finite existing membership pool, interested parties should join HRINZ, earn their ‘stripes’ through involvement and contribution, and agitate for change by selling their ideas inside the democratic process. If those ideas have worth and merit in the eyes of the majority, they will get the change they desire, and the organisation will be stronger for it. Sorry if that makes me a party-pooper but I don’t think NZ is big enough for 2 HR institutes and I think all that will be achieved is damage to one and a ‘fizzer’ for the other. Thanks for sharing your thoughts Steve. I think a lot of people share your concerns, I know I certainly do. That doesn’t make you a party-pooper, it makes you a concerned realist. For myself, this is less about an organisation and taking sides, and more about the future of our profession and the skills/knowledge we need to develop as practitioners to transform our thinking. I don’t see the current structure delivering that for lots of reasons and many others share that view and have chosen to walk away from it. However, I am keen to hear what others who weren’t at the Game Changer conference think about this and where they want the profession to go. I am trying to keep an open mind hence the LinkedIn thread. I have said it before and will say it again, I have time for Chris and there are good people on the board but there is a growing impatience for change. The last thing we need is two competing professional bodies and in-fighting I agree, but neither do we need narrow minds and maintaining deeply entrenched positions. NZ accountants for example have a choice of two professional bodies. There are so many good things happening in HR at present and we all, every single one of us in the HR profession in this country, need to step up and help shape the future. But we need informed debate not just more of the same. This is exactly the thinking that we need to move away from. How many years do I need to be actively involved in HRINZ before my “stripes” have been earned? I volunteered on the committee and my ideas there were stopped and numerous blocks put in the way, so I am not sure I believe in this option anymore. It is unfortunate but also frustrating when all we want is the best for the profession. I believe that people should have the choice for who they want to be affliated with, just like they can now with HRINZ or CIPD. Providing two choices in NZ is fine, as both will cater to different needs of their members.